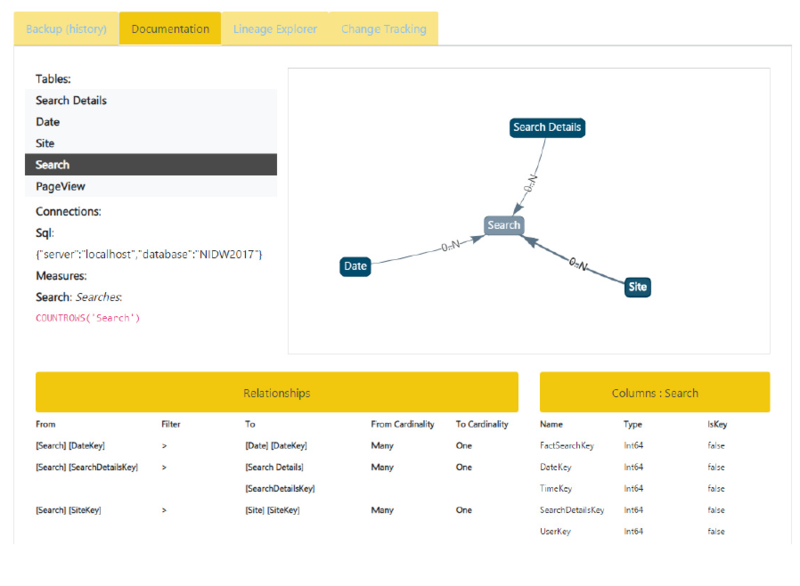 Documentation provides visibility of the data model and calculation logic used within a dataset. View the data model of datasets. View the data sources used by datasets. View DAX calculations for measures and calculated columns.